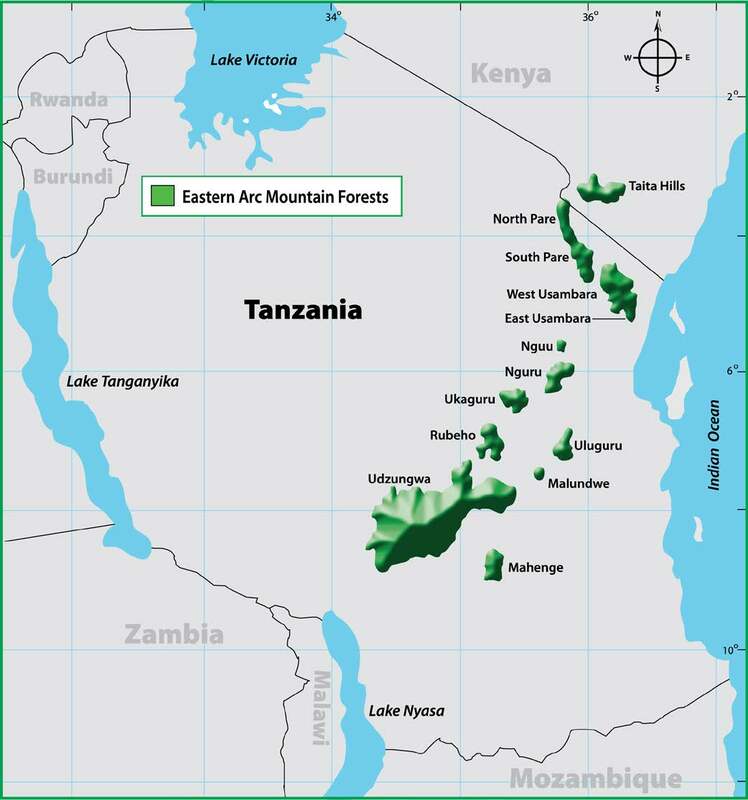 The Eastern Arc Mountains of Tanzania and Kenya are the home of all African Violet species. Species tend to be specific to particular locations. For instance, Streptocarpus teitensis comes from the Taita Hills, and the Streptocarpus ionanthus complex from the Usambara Mountains. The development of techniques in the 1990’s for sequencing and comparing DNA gave plant taxonomists an unrivaled opportunity to compare species and look for common ancestors. Work by Michael Möller, Quentin Cronk, Charlotte Lindqvist, Victor Albert and others examined the DNA of African violet species and found a number of surprises. Many of the plants were extremely closely related, especially the species from the Usambara Mountains. Generally speaking, plants from the same geographical locations were extremely closely related to each other. Study after study found similar results regardless of whether the DNA sources were from the nucleus or from the chloroplasts. What Burtt had described as a multitude of species was quickly reducing down to just a handful of different genetic groups.